To create a filing system you’ll love to use, start with a high quality file cabinet that complements your office decor. 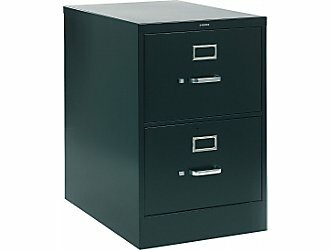 For a top performing and high value file cabinet try HON. You can pick up HON file cabinets at Staples. 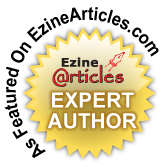 They come in a variety of sizes and configurations (both lateral and vertical) and are well constructed and a great value. The pulls are strong and the drawers slide out easily. The cabinets are weighted so they won’t tip over when you open them. The only drawback is that the colors and design are tailored more for the office than the home. They come in black, light grey or putty. 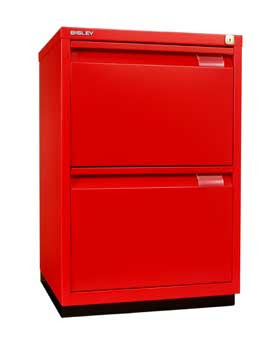 For a more fun and stylish file cabinet with color that “pops” – try the CB2 Trig file cabinet. It comes in red, titanium and white. CB2 describes this file cabinet as “Industrial, mechanic- shop chic” and it definitely delivers on style. There are two drawbacks to the Trig file cabinet however – it is small and will tip over if you open two drawers at the same time. You can solve both of these problems however by getting a console table and tucking 3 in a row underneath as pictured by CB2 here. This will give you plenty of storage and will prevent them from tipping over! For great form and function, try the English made Bisley file cabinet. It comes in white, silver and black and is available at the Container Store. There is a standard and premium file cabinet. The drawers on the standard file cabinet are fairly shallow so if you have a lot of files, opt for the Premium file cabinet which is sturdier, has deeper drawers and can accommodate both legal and letter size files. For an even larger, sturdier and more commercial grade file cabinet, upgrade to the Bisley F Series which you can find at Sam Flax in black, white, silver and cardinal red! If you prefer a wooden file cabinet, opt for solid wood construction. It will last longer and resist the chipping that often occurs with engineered wood. For high quality and great design, try the Crate and Barrel Abbot (left) or Landon File Cabinets (right). For added storage, consider a credenza. The Crate and Barrel Strut Credenza for example is a practical and stylish way to store your files, books and supplies neatly and out of the way. It has two adjustable shelves on the left, a storage drawer on the right with a file cabinet below it!